It has been a horrific couple of days for shareholders of Amaya, Inc., as shares of the company have plummeted over 37% since Tuesday morning. 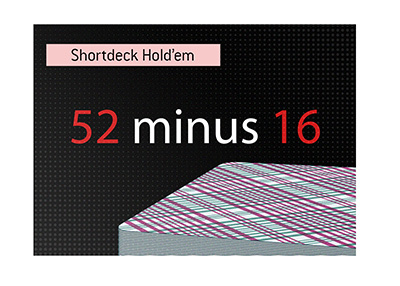 Heading into the release of their Q3 earnings report earlier this week, shares of Amaya, Inc., which owns the Pokerstars and Full Tilt Poker brands, were trading at $23.56 on the Nasdaq stock exchange. Following the release of their earnings report, shares of Amaya, Inc. dropped over 30% on Tuesday to close the session at $15.99. There was more selling on Wednesday, as disgruntled investors continued to dump shares, which sent the company down another 7.44%. After trading at over $26 per share just one month ago, Amaya, Inc. now trades at $14.80. 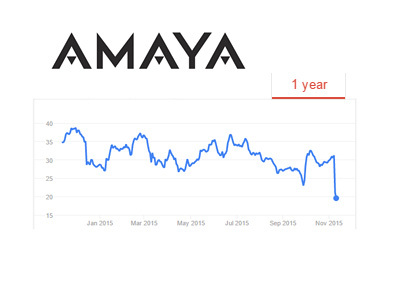 Amaya, Inc. shares tumbled after the company reduced both their revenue and profit earnings for 2015. Revenues are expected to be roughly 13% lower than previously anticipated, while earnings are also going to come in significantly below expectations. The company pinned some of the blame on a strengthening US dollar, which they say has led to a "decline in the purchasing power of our customer base and has had a significant negative impact on our revenues." 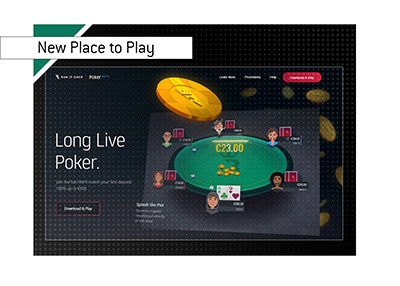 Many Pokerstars and Full Tilt Poker customers have been deeply unhappy with the changes that the two companies have implemented over the past couple of years. Most recently, Pokerstars' changes regarding their rewards program, especially as it applies to higher volume players, has created a storm of outrage. For these people, Amaya's precipitous plunge over the past couple of years won't draw much sympathy.